I hope everyone had an awesome and relaxing holiday season! I don't know about you, but I'm so ready to be back in a normal routine. Lots of exciting things coming in 2017!! Thanks so much for all the support of my blog in just the first 6 months. I've had so much fun with it and every single like, comment and word of encouragement has meant SO much to me. Thank you from the bottom of my heart!!! Let me tell you about my newest obsession with Framebridge. 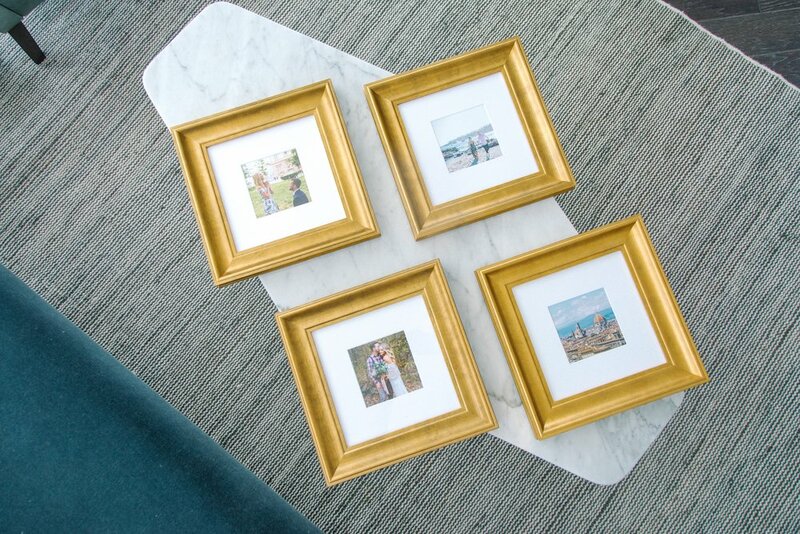 Cameron and I started a gallery wall in our house and were in search of the perfect gold frames. My sweet friend Ashley suggested Framebridge and we had the best experience. 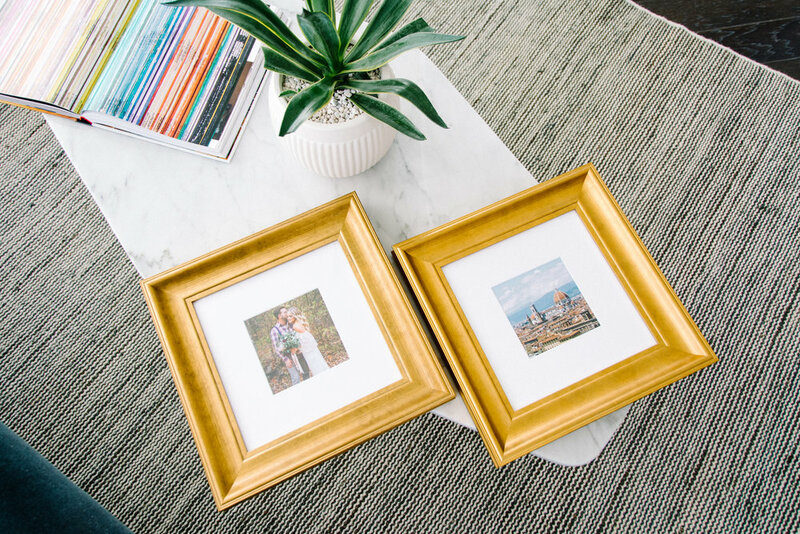 We chose the Chelsea style (wide classic gold frames) for our photos and couldn't be happier with how they turned out. 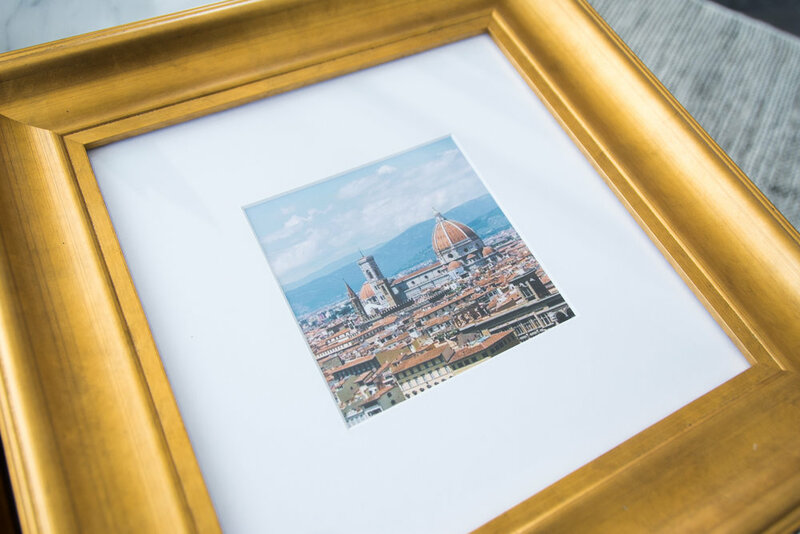 We framed pictures from our travels this summer including some our engagement in Italy and our trip to Cabo. My favorite part is that you can upload photos straight from your Instagram with their "Instagram Mini's." 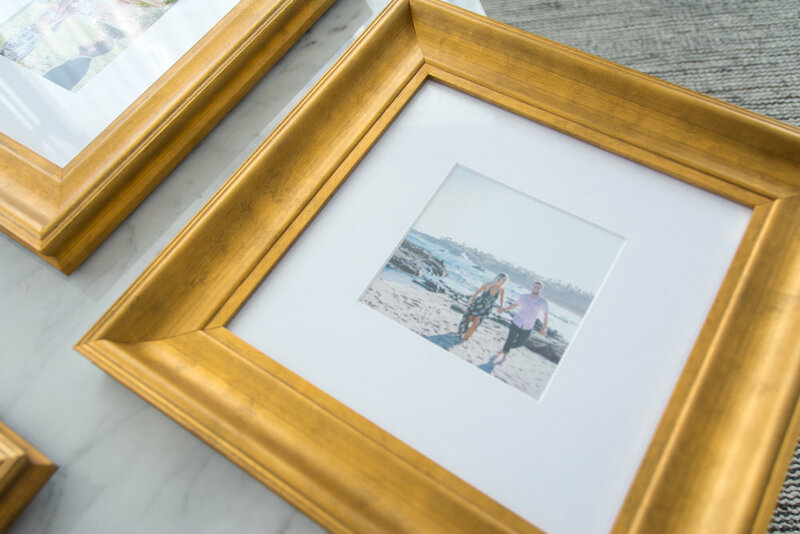 To order yours just go to the Framebridge website, click on the "services" tab, then "Instagram Framing." They print and frame straight from your feed for only $39!!! They take the hassle out of getting your pictures printed and are so reasonably priced. Use my code "hunter15" for 15% off your first order!